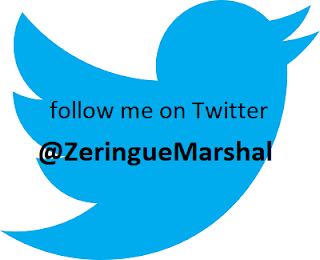 My name is Jennifer Caloyeras and I am a writer. These are my dogs, Reba and Dingo. Reba is twelve years old. She's a mutt involving some sort of Jack Russell Terrier. We adopted her from the South Central Pound in Los Angeles. Dingo is also a mutt. I'm guessing Australian Shepherd and Corgi (we like to joke she is part fox). She came to us from the Milo Foundation in Northern California. 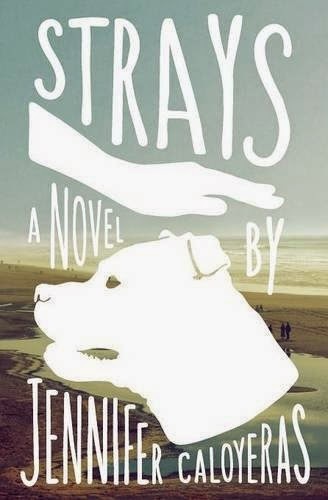 We are celebrating my new young adult novel, Strays, which is about a girl with anger management issues who gets sentenced to a summer rehabilitating aggressive dogs. Well, it's the morning here so it's all about the coffee. Just coffee. Black. The dogs are licking frozen soup out of a Kong toy. Reba used to have a brother named Willie, after Willie Nelson. So Reba was a natural fit. Dingo came with her name (the woman who cared for her was Australian). I told the kids they were welcome to change it and they looked at me like I was suggesting something criminal. So Dingo stuck. Sometimes I call her Didi in public. We adopted sweet Reba at 8 weeks old from the South Central pound. We were looking for a puppy 12 years ago. I chose the alpha (Willie) and my husband picked the runt (Reba). Dingo was a puppy at a summer camp in northern California. The boys got to know her as they cared for her on "puppy chore". Then we found out the dogs (rescues from the Milo Foundation) were all up for adoption. 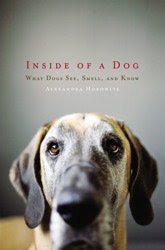 Well, since this particular book is about dogs and the human-dog bond, they were very inspirational! If I had to describe what a dog looked like while barking, for example, I'd just look over at my subjects! I need to take breaks when I write, so it's great to take them on walks and clear my head a bit. Have any actual dogs inspired fictional dogs in your books? So our dog Willie (who is no longer with us) really inspired the three-legged pit bull, Roman, in my novel Strays. Willie (like Roman) had redirected aggression issues. If he couldn't attack the thing he wanted, he'd attack the person at the end of his leash. This was really a challenge as a pet owner. As a longtime dog columnist for the Los Feliz Ledger and other papers, what's the craziest subject you've tackled? I once did a column on DNA detectives for dog poop. Apparently there's an organization that will catalogue your neighbor's dog poop. If you send them a sample of who hasn't been cleaning up after their dogs, they can alert you to the culprit. Birds! They love to play with (tease) our dogs! They swoop down low above their heads and then take off! They love their human family most of all. They also enjoy interacting with my boys' guinea pigs. They're really very sweet with them. Dingo is still a puppy and loves any kind of stuffed animal...either a dog pet or my six year old's. She knows no difference. First she likes to remove the squeaker and then she eats the plushie's face off. Animal instinct? Reba is kind and patient. She has always been so gentle and caring with my kids. Dingo is spritely and silly. She makes such funny noises. She is very playful and loves to retrieve a ball. 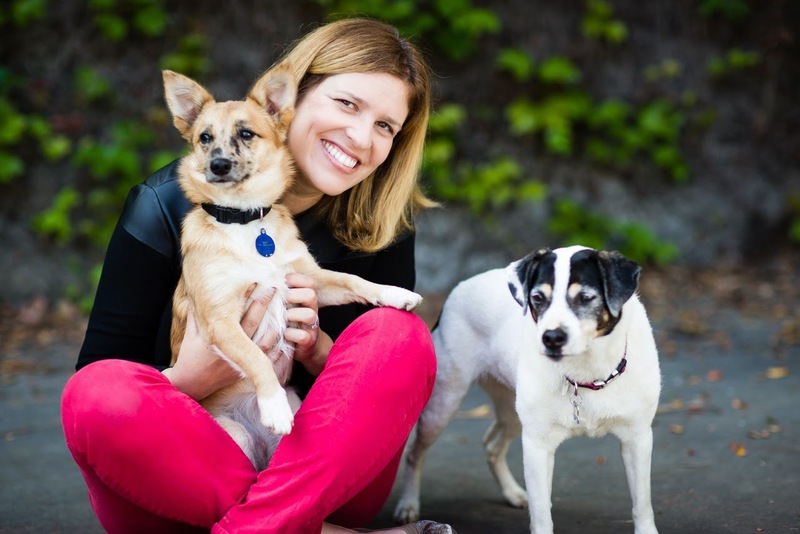 If your dogs could change one thing about Californians, what would it be? They would make it so that dogs were allowed in more places! Restaurants here are easing their regulations regarding dogs (some even include dog menus!) but we'd love to be able hike on all trails! Reba would be played by Helen Mirren for sure! Hm... it's a challenge to cast Dingo! I think I have to go back in time and snag Soleil Moon Frye (Punky Brewster) to really encapsulate all of her verve. Remember to seize the day (and potty outside!). Thanks for having me for a visit!